Frustrated by the lack of clinical training in pediatric dental assisting by many of the schools in Atlanta, Dr. Rhea Haugseth decided to develop her own Pediatric Dental Assistant School. To find out more information on Dr. Haugseth and the creation of our school please click here. Imagine a career that gives you lots of hugs, a multitude of smiles and tons of giggles every day! This is the life of a Pediatric Dental Assistant. 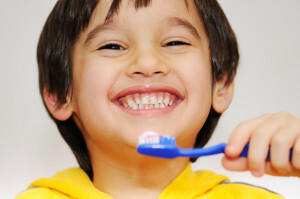 Pediatric Dental Assisting is VERY DIFFERENT from regular dental assisting. Our patients can be challenging, but the rewards are TREMENDOUS! Working with children and teens demands that we have fun while we work – they bring it out in us! WE LOVE KIDS – and if you are still reading this, you probably do too! If this sounds good to you – join us. Become a PEDIATRIC DENTAL ASSISTANT! You won’t regret it. In fact, you’ll thank us every day you go to work. It’s FUN and rewarding! Classes are taught in a state-of-the-art pediatric dental office. The curriculum is a mixture of home study, didactic course work, and an extensive focus on clinical experience and training. There are 4 students to 1 instructor – providing intensive training and personal development. Our graduates (requiring a passing grade of 75 in all written and clinical exams) receive a Certificate of Completion from Pediatric Dental Assistant School, a certification in Dental Radiology from the Georgia Department of Human Resources, an OSHA training certificate, and CPR certification. This is all you need to begin your career as a PEDIATRIC DENTAL ASSISTANT. A recent national survey demonstrated that the average salary for an experienced pediatric dental assistant is $18 per hour. This can be you! Dr. Haugseth has developed a vast network of professional contacts which will help you locate an office for your externship as well as possible employment. Her pediatric dental colleagues have been very excited by the level of training and experience her students receive at Pediatric Dental Assistant School. Become a PEDIATRIC DENTAL ASSISTANT – an assistant that has specialty experience in pediatrics. You will be in high demand here in Georgia and throughout the country. 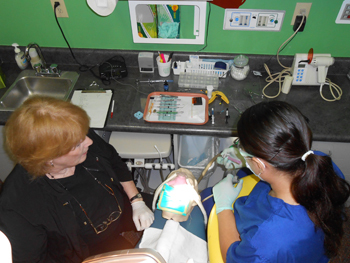 There is no other school in Atlanta that focuses exclusively on PEDIATRIC DENTAL ASSISTING. Sign up now for a career that is challenging, financially rewarding and most of all – FUN !!! !